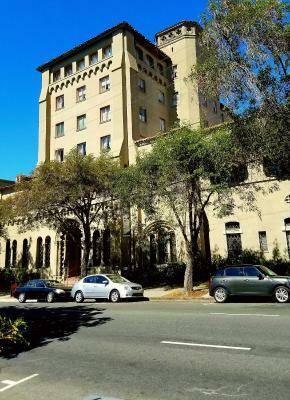 Lock in a great price for Berkeley City Club Hotel – rated 8.3 by recent guests! I like the history of the building and the location. Revisiting where I once worked many years ago with fond memories. The ambience is divinely created; architecturally and more. A sanctuary. The pool..well out of this world (keep the temp at 84 please..perfecto and finding aerobic weights in a basket a plus). Its magical at BCC. Dale is great. He's a keeper. Loved my quick freshened-up hair trim. Charming old world property with a marvelous indoor pool for serious swimmers. Fabulous location for walking around campus or to BART. I loved the architecture and history of the building; knowing that one of the very first woman in the field designed this structure. In the first room we were given the rug was pretty dirty and not as nice; the staff said that that room had not been updated yet, so they changed us to 411 which was lovely and clean. The best mattress for a hotel so we slept great. Close to campus. Clean. Very cool old building. Quiet. Great view from top floors. Rooms are smallish.Windows open . Rooms dumpy. Maintenance low on whole place, though the public spaces look better. 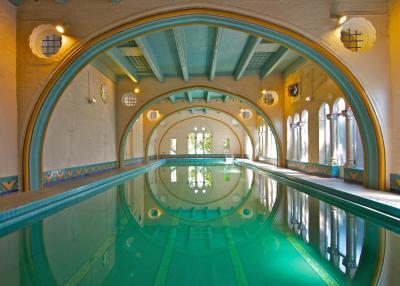 Gorgeous historic property, personally special since my grandmother lived there in the 1950s. It's been beautifully maintained, upgraded, yet they've kept that old hotel feel. Nostalgia, fantasy, stuff special memories and experiences are made of. Room was light, airy, fresh, off white everything, minimal art from the deco period, windows open onto view of the Berkeley hills, could see top of the campanile from bed; everything works. Some of this won't mean the same to a young person or someone not from Berkeley, but I loved it! Easy access, parking, pleasant, efficient desk personnel. Building is magnificent. The bathroom is inadequate for people with disabilities as a high step provides access and one could easily fall into bedroom leaving bathroom. Also height of tub makes it difficult to get in to take a shower and there is no room for toiletries. The bed was the best. The view from our room was spectacular. 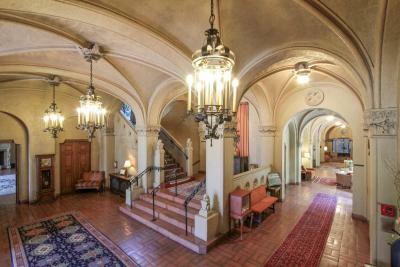 The historic lobby and breakfast room were beautiful. Our room was recently renovated. Berkeley City Club Hotel This rating is a reflection of how the property compares to the industry standard when it comes to price, facilities and services available. It's based on a self-evaluation by the property. Use this rating to help choose your stay! Select rooms and suites feature views of San Francisco, University of California Berkeley and Berkeley Hills. Each room offers free toiletries and an private bathroom at Berkeley City Club Hotel. After a day walking around the theaters, restaurants and galleries of downtown Berkeley, guests can stroll through a garden at Hotel Berkeley City Club. A 24-hour reception and launderette are provided. Complimentary WiFi is available at the property. Fresh fruit, pastries, tea and coffee are just some of the free breakfast items offered daily. 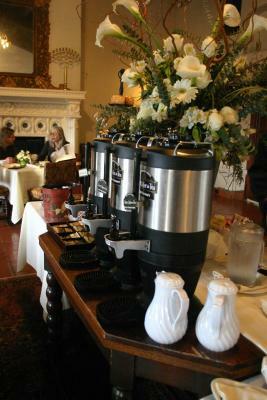 The on-site restaurant, Julia’s at the Berkeley City Club, features lunch Tuesday- Friday and dinner Tuesday- Saturday. Reservations are required. San Francisco International Airport is 40 minutes’ drive away from Berkeley City Club Hotel. Oakland International Airport is 30 minutes’ drive away. This property is also rated for the best value in Berkeley! Guests are getting more for their money when compared to other properties in this city. When would you like to stay at Berkeley City Club Hotel? Featuring views of San Francisco, University of California Berkeley and Berkeley Hills this room has free Wi-Fi, free toiletries and a private bathroom. With free Wi-Fi, this room provides free toiletries and a private bathroom. Featuring views of San Francisco, University of California Berkeley and Berkeley Hills, this two room suite has free Wi-Fi, free toiletries and a private bathroom. House Rules Berkeley City Club Hotel takes special requests – add in the next step! Berkeley City Club Hotel accepts these cards and reserves the right to temporarily hold an amount prior to arrival. For minors under the age of 18 seeking accommodations, the property requires a parent or guardian, or another responsible adult, to assume, in writing, full liability for any and all charges. Minors must come with a signed waiver form provided by the Berkeley City Club when making the reservation. Unfortunately, the point of our visit was to use the pool which was closed for chemical treatment! The calm quiet atmosphere of the hotel; a great west-facing room on the sixth floor. Tap water is not that fresh in the morning. Best Location near UC Berkeley. We didn’t realize that the rooms didn’t have televisions. Maybe quick scrambled eggs if wished at breakfast..warm eggs. i was given a room that was of lesser value based on size and a lack of a bath tub and charged the same amount. the room i originally had was right next to the elevator and you could hear it every time it moved. it's has a lovely sense of history. The entry to the building is only in the front and up several steps so it was very inconvenient unloading and loading from the parking lot especially. A ramp would have helped so luggage or a cart would be easy to enter the building. No TV service in the room. Does not serve a full breakfast. The meal in the restaurant, Julia’s, was awful. The piece of Sole was super small and over cooked, the mashed potatoes tasted watery like instant hospital food, and the veggies tasted like microwave steam in a bag hospital cafeteria veggies. Don’t even get me started with the cold sliced grapes on the fish. The food my friends had was no better. The waitress was nowhere to be seen and when she didn’t have the wine I ordered, brought me a full glass of something else without even asking! Skip Julia’s and go to Chez Panisse on Shattuck Ave. if you’re wanting delicious French food. Chez Panisse is far superior and requires reservations. The rooms are great and the pool is lovely.